THE Next Big Hit Signature Bar Drink. Ask for it everywhere you go! The Skeeter is a Mesquite Bean Vodka “must-have.” Make no beans about it! Add a twist of lime & you have a SKEETER! Garnish with key lime slice. Top with 1 shot of TEXAS TORCH Cinnamon Flavored Vodka. Sip it or shoot it! This rich but savory Martini is scrumptious. Sip slow for best results. Garnish with key lime slice or wedge & mint leaf. 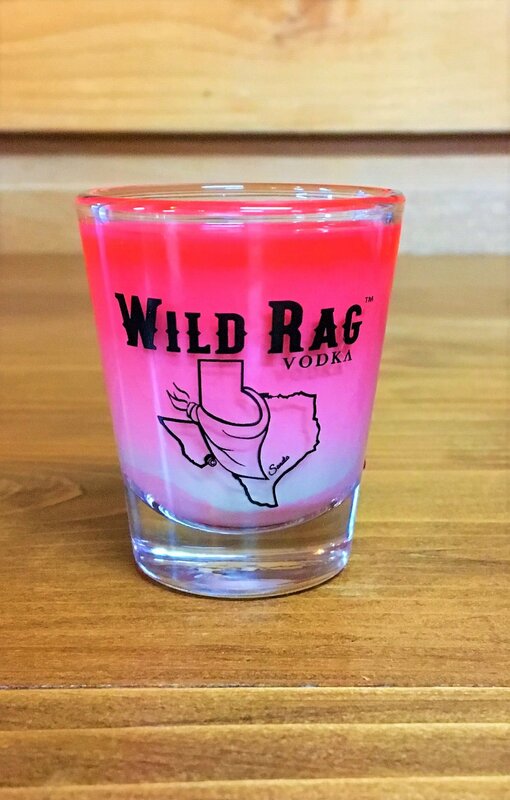 Baby Blue - Pour 2 shots WILD RAG VODKA or WILD RAG MESQUITE BEAN VODKA, 3/4 oz fresh squeezed lime juice, 1 oz Triple Sec, 1/2 oz simple syrup, & a dash of blue curacao into a shaker. Shake all ingredients with ice & strain into Martini glass. Add splash of grenadine & garnish with Cherries. Garnish with lemon slice & a mint leaf. Garnish with pineapple & cherry. Garnish with a key lime slice.